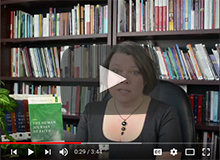 CLICK HERE TO WATCH INSTRUCTIONAL VIDEOS FOR EACH BOOKThis engaging summary of the main themes of the Catechism helps adults understand their faith through the lens of modern life and their own experiences. The seven books break open the Catechism’s main themes—the Mystery of God, Christology, Christian Anthropology, Ecclesiology, Sacraments, Morality, and Liturgy and Prayer. Each includes a group sessions guide. A FREE, comprehensive Leader’s Guide is available here on our website. Click here to read testimonials for Our Catholic Life.